Welcome back to day 7 of the write 31 day challenge! 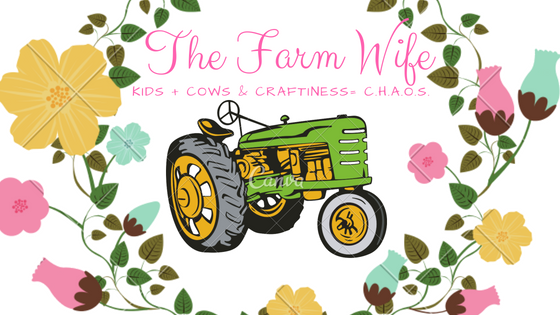 This series is all about my life as a farm wife. You can read all the post here. you can never have too many of any of these. Which may be why our house seems to be overflowing with them. It seems like I always have questions on the best way to organize the books and boots. but we have found that buckets and bins work best for us. my goal is to reduce our clutter and let our farm life shine through in our decor. or the random loose boot laying about. that I thought I might share with y'all. 1. No matter how hard you try...mud, poop and more will end up inside your house. Invest in a good broom and mop. If you are building a house do yourself a favor and don't install carpets. We are fortunate that most of our floors are hardwood. 2. Make sure you can throw most things in the washer. I have started using slipcovers more and more over the years. That way when anyone makes a mess I can just throw it in the washer/dryer and things will be back to clean in just a short time. Now if you are like me the mess will happen just before company arrives so I suggest having extra slipcovers on hand if your budget allows. Our budget doesn't currently allow for that so I have quilts stored in the living room "just in case". 3. Find a system that works for everyone. What worked before we added kids doesn't work now. Be sure to change as your life changes. Each season will be different. If you are dealing with kids be sure that you have a system that they can help with so that you don't end up doing everything. Trust me we are still working on this!! 4. Don't be afraid to express yourself. For years I wanted that magazine worthy living room that really wasn't me. With this redo I am letting our farm life shine. Want to check it my style? Hop over to my Living Room Redo board. Ticking, buffalo checks, and burlap never disappoint! 5. Spotless is just not practical with the Farmer and 3 farm kids. We try to keep it tidying but life happens. If your friends judge your house each time they come over you might need new friends. Do you have any suggestions or ideas? Please share them below!